It seems like every time a high-performing mogul recounts their daily routine lately, meditation is a part of it. Meditation has officially entered the mainstream, and proponents tout everything from increased focus and calm to a deeper feeling of well-being. Studies have shown that meditation is great for managing stress, to treat anxiety, depression and insomnia and even to manage chronic pain. These benefits extend not just to adults, but to children who practice meditation too. Just as yoga has become a common practice for kids at school or as an outside, activity, meditation and mindfulness is something educators and parents are incorporating from the very start. The best part about meditation is how very big the benefits are for such a small change. Meditation takes little time–as little as 10 minutes a day–and can be done anywhere, for free. Once you’ve established the practice, it becomes as routine (and essential) as your morning coffee or tea, or your daily shower. Select a style. There are four styles of meditation (concentrative, guided, mantra-based and movement-based). We review them all in 52 Small Changes for the Family so you can select your favorite. Choose a spot. Make sure the space you choose is easily accessible to you and conducive to the style of meditation you choose. Get comfortable. Wear comfy clothing that isn’t restrictive. For kids, make sure they’re seated comfortable, perhaps with a wall for support or lying down instead of sitting upright and cross-legged. Be patient. Start with just 5 minutes of meditation daily as a family and build your way up to 20. Understand that it may take some time to develop this practice in children. Like any small change, the first few weeks are always the hardest–once it’s a part of your routine, it’s a breeze. We’ve compiled a list of our favorite meditation aides, both free and paid, to help you get into the habit. The Headspace App: Guided meditation with a variety of styles, options and goals, the Headspace app teaches you how to meditate from start to finish. For those who want a plug and go solution they can carry in their pocket (on their phone), this is a great option. The Chopra Center Online Library: A series of fantastic free resources, including guided meditations, inspirational quotes and informative articles on all things related to meditation and mindfulness. Do Nothing for Two Minutes: Not an official meditation guide, but this simple website encourages you to sit, relax and listen to the sound of the waves for 2 minutes. (If you touch your computer, it starts the timer over again.) A great mini-oasis in the middle of a busy day. The Mindfulness Bell: This soothing reminder to still your mind and have a moment of quiet can be set to your specifications. Consider it a “reminder” of sorts to meditate as well as to take time throughout the day to re-center yourself and take a few deep breaths. 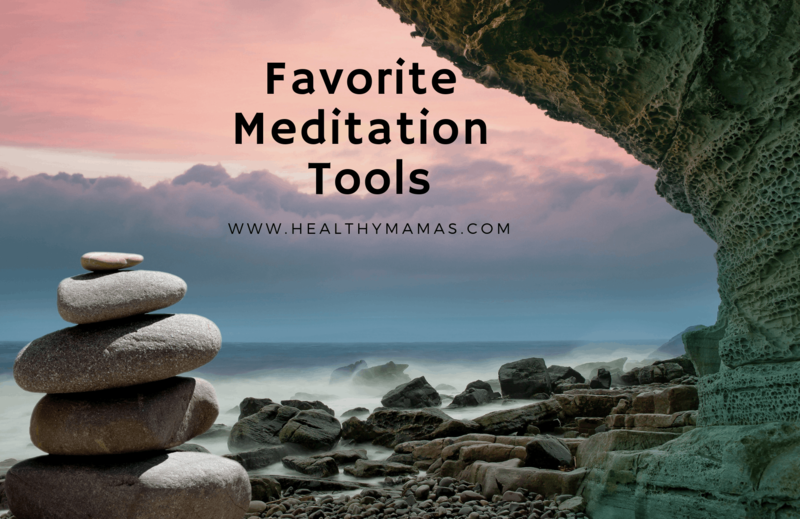 Spotify Meditation Playlists: Find a variety of guided meditations and soothing background music or soundscapes to figure out what works best for you. A great thing to try out as a family to see which are your favorites. Timed Meditation from the New York Times: The Gray Lady has put together a comprehensive and quick guide to meditation, including guided meditations in your choice of times. Mindful Kids: 30 Fun Activities to Stay Happy, Calm & In Control: Going beyond meditation, this book provides mindfulness exercises on a kid’s level to give them the tools they need to remain calm and focused throughout their days. Meditation Bolster Pillow: Get comfortable and ready to meditate anywhere with this portable pillow. We chose this one because it’s made with eco-conscious materials. Zen Garden: This is a great option for kids, allowing them to focus on the task of raking the sand if sitting still to meditate for an elongated period is too difficult. Relax Melodies: This app offers a free version that includes lots of different sounds to create your own soothing melody for meditation. If you upgrade to the paid version, you get access to hundreds of guided meditation programs!